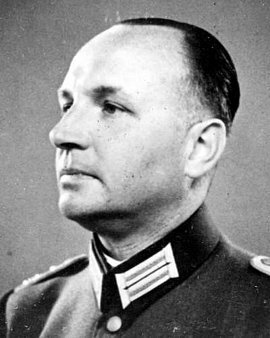 Otto Armster assumed command of the Vienna counterintelligence office as a colonel in April 1944. Since 1939 he had been in contact with the resistance group in the counterintelligence community headed by his friend Admiral Wilhelm Canaris. In Vienna, Armster worked with Georg Alexander Hansen, Hans Oster, and Ludwig Gehre and on several occasions met with Hermann Kaiser, a confidant of General Friedrich Olbricht. The conspirators planned to employ Otto Armster as a liaison officer in Military District XVIII (Salzburg). Arrested in Vienna on July 23, 1944, he was brought to Berlin and held in the Lehrter Straße Prison until he was released on April 25, 1945. On May 15, 1945, the Soviet NKVD arrested Otto Armster and deported him to the Soviet Union, where he was forced to remain until 1955.